The October 20-26th edition of The Economist newspaper has a very interesting example on how closely linked the American and the Chinese economies are. While I have written about this linkage at various points of time, over the last few years including in my Easy Money books, the example really puts things in the right perspective. Wang Jianqin is a farmer who rears 4,000 pigs around 45 km outside Beijing. Nearly one-fifth of the food that she uses to fatten the pigs is basically soyabean meal. China imports this in large quantities from the American Midwest states. Over the last three decades, as China has gone from strength to strength, the demand for pork (and hence, pigs) in China has outstripped every other country in the world. This has also led to an increased demand for soya from the American Midwest. This, in turn, has led to the American farmers doing well. As The Economist puts it: "Chinese money helped them [i.e. the American farmers] pay for lots of cheap, Chinese made goods at Walmart - as well as for the genetically modified seeds and other high tech inputs stuffed with American knowhow that make them so productive." What The Economist does not mention is that the dollars earned by the Chinese exporters by selling stuff in the United States, are converted into yuan. The dollars end up as foreign exchange reserves with the Chinese central bank, the People's Bank of China. These dollars can either lie around idle or they can be invested in the American government treasury securities and earn a certain rate of return. A significant portion of the dollar reserves of China are invested in treasury securities issued by the American government. Treasury securities are basically financial securities issued by the American government to borrow the money required to finance its fiscal deficit or the difference between what it earns and what it spends. As of August 2018, the Chinese currently owned $1.17 trillion of American government treasury securities, in comparison to $1.2 trillion as of August 2017. And the Chinese are not the only foreigners owning these securities. The total amount of treasury securities owned by foreigners as of August 2018, stood at $6.29 trillion. It has established a track record of 74.2% on all our closed positions. 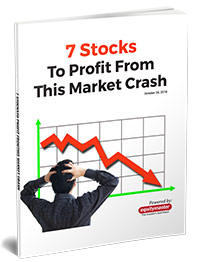 Which means, that more than 7 out of every 10 stocks we recommended, have hit the mark. Many of these stocks have gone on to give triple and even quadruple-digit returns over a few years! But more importantly – Tanushree Banerjee, the editor of StockSelect, believes the current market downturn is a great opportunity to scoop up potential multi-bagger stocks, at heavy discounts. Which is why she has put together a special report containing full details on the 7 Stocks to Profit From this Market Crash, for her subscribers only. Click here to see how you could join them (and claim FREE access for an additional year). All this money coming into the United States, essentially allows the American government to offer a low rate of interest on their treasury securities. The low rate of interest on treasury securities, basically ensures that the overall interest rates scenario in the American financial system, is also low. The lending to the government is deemed to be the safest form of lending and acts as a benchmark for all other lending. The low interest rates in the United States basically ensure that Americans can keep their consumption going. The great American Dream is basically nothing but a consumption dream. 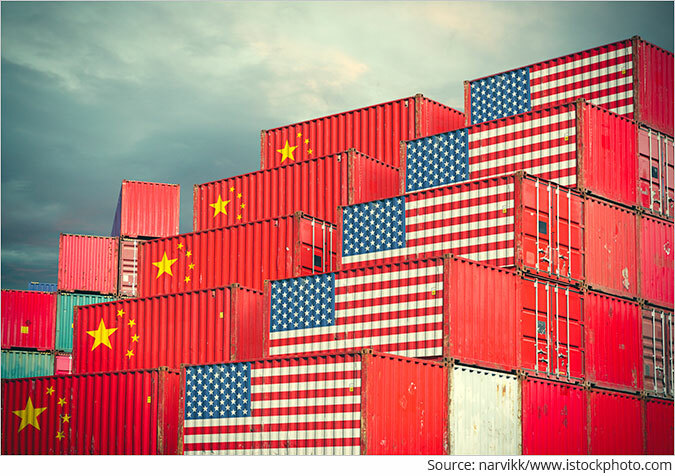 Donald Trump and the American government are now working towards hurting this symbiotic relationship, which has benefitted both China and America, and in the process a large number of countries all across the world. The Trump administration has imposed tariffs of 10-25% on imports worth $250 billion. There are plans to increase this to a uniform 25%. The Chinese on the other hand have retaliated by imposing tariffs on American imports worth $60 billion. This includes a tariff of 25% on soyabeans. This will hurt the farm states which voted for Trump in the 2016 presidential elections. The price of soya in China has shot up and farmers are looking to switch to other feeds. In fact, the Chinese Feed Industry Association, The Economist reports, has come up with new standards for pigfeed and has cut the content of soybean to 11-13%, against the earlier 20%. By introducing these tariffs and doing other things, both the United States and China, are hurting each other. Nevertheless, China is going to get hurt a little more given that it is dependent more on American imports than the Americans are on the Chinese imports. In 2017, the total Chinese exports to America (i.e. American imports from China) stood at $505.5 billion. Against this, the American exports to China (i.e. Chinese imports from America) were at $129.9 billion. Clearly, China is more dependent on America than vice versa. In fact, between January and August 2018, the Chinese exports to America were at $344.7 billion. In comparison, the American exports to China were at $83.6 billion. Clearly, one side has a lot more to lose in this trade war and that is China. Also, if China exports less to the United States, it is bound to import less from other parts of the world. In the process, the troubles of the current trade war are likely to be spread all across the world. Having said that, on the whole, any trade war as big as this one is, is bound to hurt the entire world. The last time something of this magnitude happened was in the aftermath of the Great Depression. Alan Greenspan and Adam Wooldridge write about this in great detail in Capitalism in America. As they write: "One of the worst examples of America's irresponsibility was the Tariff Act of 1930, which increased tariff rates by an average of 18 percent on 900 manufactured goods and 575 agricultural products. The act has become a symbol of economic idiocy [emphasis added]." Of course, if America could increase and introduce tariffs on imports, so can other countries. It wasn't exactly rocket science. As Greenspan and Wooldridge write: "Foreign countries responded with a wide range of tools (tariffs, import quotas, exchange controls) that reduced global trade. Furious about tariffs on their watches, for example, the Swiss imposed tariffs on American typewriters, cars, and radios. Germany declared a policy of national self-sufficiency (with the implicit threat that a self-sufficient Germany would also be an expansionist Germany). Even Britain, which had championed free trade since the repeal of the Corn Laws in 1846, embraced protectionism in February 1932, by raising tariffs and providing special preferences for the empire and a few favoured trading partners." This had an impact on global trade. "The volume of global business shrunk from some $36 billion of traffic in 1929 to about $12 billion by 1932," write the authors. The actions of the United States and China are working themselves towards a similar such arrangement. If they are not stopped, a global recession will soon be in the works, towards late 2019 and early 2020. As the United States and China, the two largest economies in the world, get into a proper slugfest, many other countries are going to get hurt. Many years back, while reading the Readers Digest magazine, I came across an old Korean proverb: "When whales fight, shrimps are eaten". We request your view! Post a comment on "When Whales Fight, Shrimps are Eaten". Thank you for posting your view! 3 Responses to "When Whales Fight, Shrimps are Eaten"
Nice article. One only hopes that the next week elections deliver a blow to GOP and forces Trump to soften his stand. Very beautifully and simply explained, as only Vivek can. I wonder what is the Value Add which China & US gain respectively on their respective exports. Cause though the Chinese export more, they also add less as compared to the Americans. This dimension can impact the American's more than the Chinese. I wonder what would this number be, cause this is where the actual pain is for the economy.